Europe At Night With Cloud Coverage, True Colour Satellite Image. 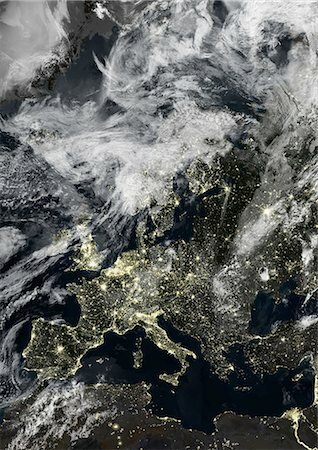 True colour satellite image of Europe at night with cloud coverage. This image in Lambert Conformal Conic projection was compiled from data acquired by LANDSAT 5 & 7 satellites.